Today, I’m celebrating the continuation of my longest ever run streak. But why celebrate a mere 40 days? Because, in Biblical terms, 40 — usually days, but sometimes years — measures the symbolic length of time people have to endure spiritual trials and tests of faith. It was the length of time that Noah endured as the rain fell on the earth to create the flood (Genesis 7:12). It was the length of time Moses spent on Mount Sinai before receiving the Ten Commandments (Exodus 24:18). It was the length of time the Israelites took to scope out the land of Canaan and report back to Moses that it was flowing with milk and honey — the Promised Land they were looking for — and worth invading (Numbers 13:25). (Of course, it was another 40 years before they did it. By that time, Moses was dead.) It was the length of time that Goliath taunted Saul’s army before David arrived to drop him with a stone (1 Samuel 17:16). Later, in the New Testament, 40 days was also the length of time of Jesus’ temptation in the wilderness (Matthew 4:2) and the length of time between Jesus’ resurrection and ascension (Acts 1:3). So, I’m celebrating the first 40 days of my #runstreak today because it has absolutely been a time of running trial. Not only have I had to battle the western New York weather, I’ve also had to invent routes on the fly when life has taken me away from home. #runstreak day 4 (January 4). Approx. 14F/-10C with 25-35 mph wind gusts. Not a good start to the year. #runstreak day 14 (January 14). 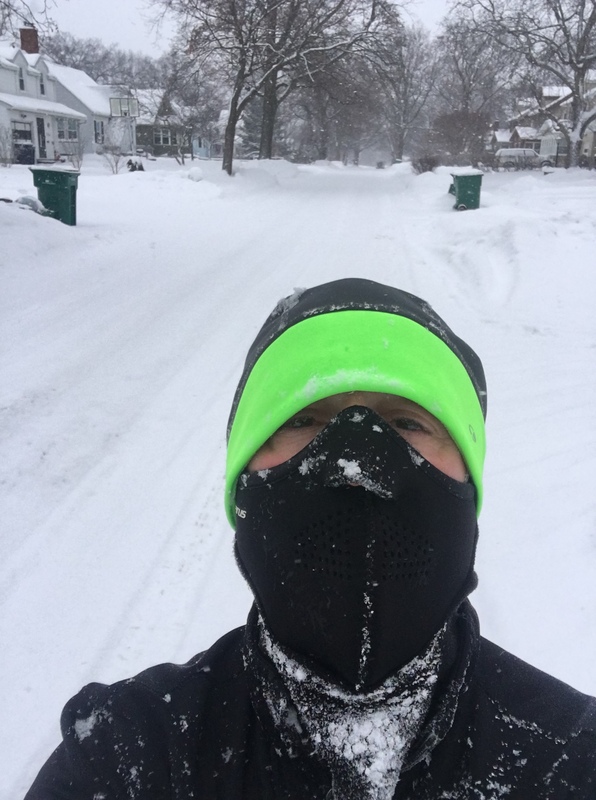 A routine 5K complete with 14F/-10C temps, wind chills around 0F/-17C, and a wonky GPS that marked my longest run streak to date. 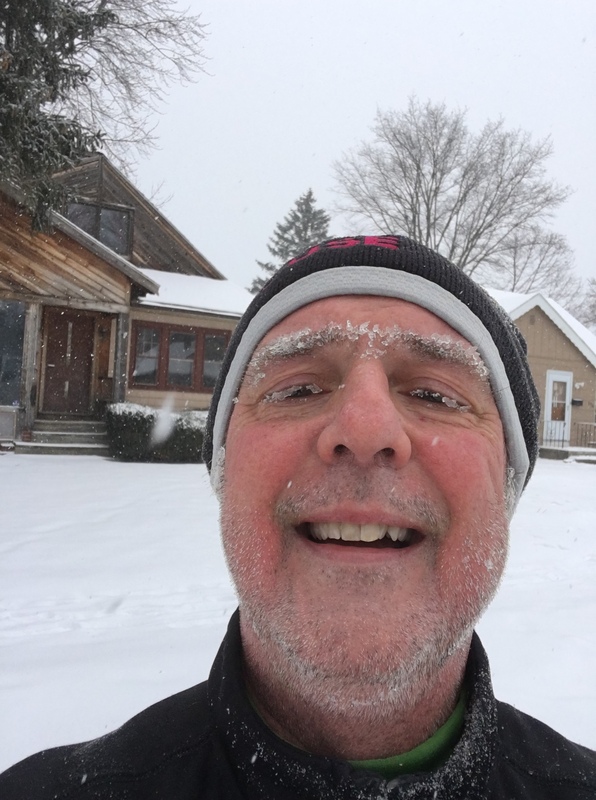 #runstreak day 25 (January 25). 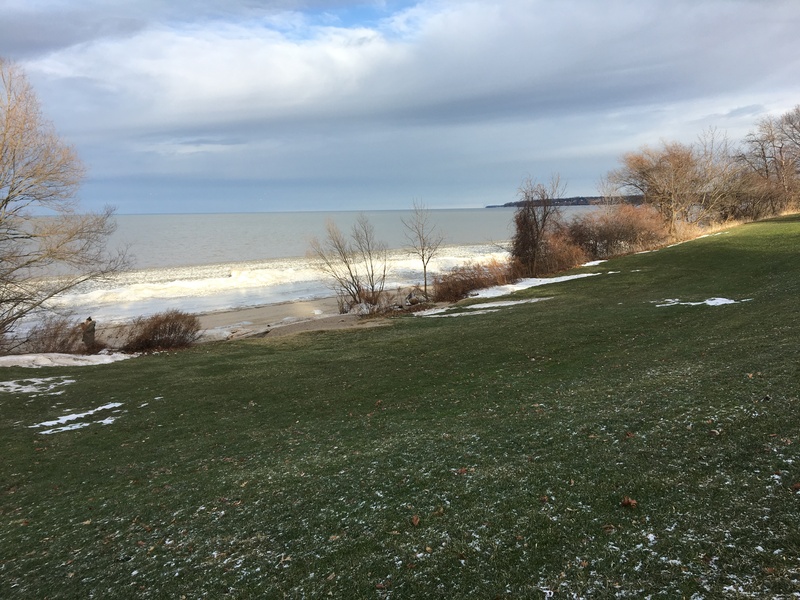 A better day (at 28F/-2C, the term “better” is relative), and the only time so far this year the Durand Trail alongside Lake Ontario has been runnable. #runstreak day 27 (January 27). 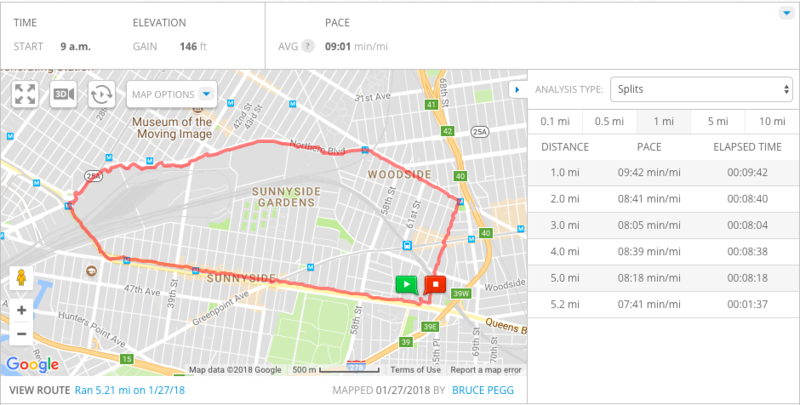 A run around Sunnyside, Queens. Because the streak don’t stop. 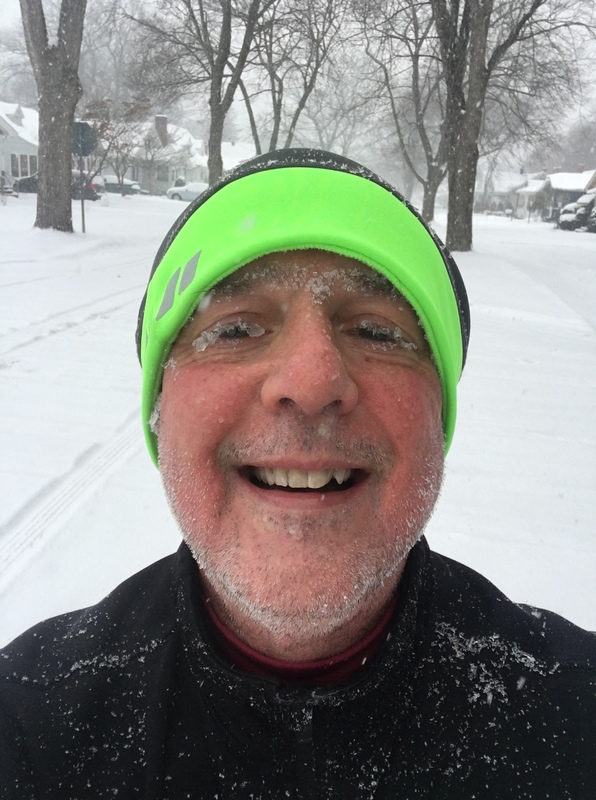 #runstreak day 38 (February 7). 6-8″ of snow, more icy eyebrows and lashes. In the scheme of things, of course, 40 days is really nothing. If you consider that today also marks my 21,074th day going around the sun, then 40 days represents just 0.2% of my life. That’s hardly a time of trial at all, is it? Forty days. 160 miles. They’re just numbers. But I’ll celebrate them anyway. 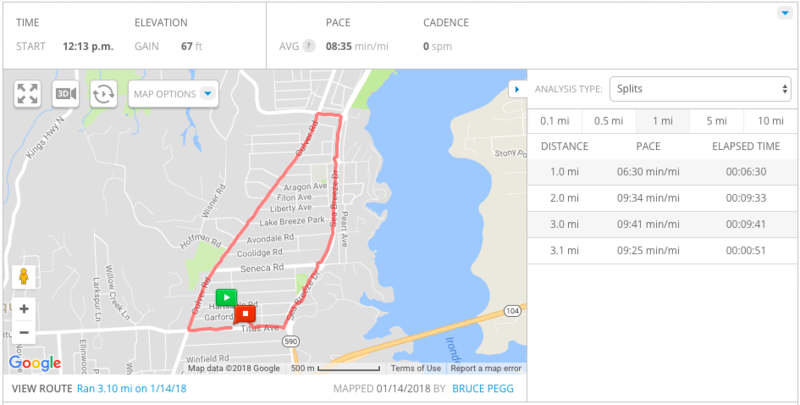 This entry was posted in #runstreak, The Flat-Footed Fox and tagged #runstreak, fitness, long-distance running. Bookmark the permalink.